Dr. Garfield completed his undergraduate education at Temple University before earning his doctoral degree at the Pennsylvania College of Optometry. He was awarded honors for excellence in clinical care at the Fitzsimons Army Medical Center in Denver, Colorado and again for his work with the partially sighted at the Feinbloom Vision Rehabilitation Center in Philadelphia. He has attained the highest level of certification approved by the Pennsylvania State Board of Optometry and consistently pursues advanced education. 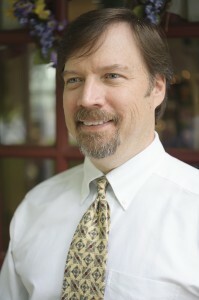 Dr. Garfield is one of six doctors of optometry in his immediate family, which includes himself, his wife, two brothers and two sisters-in-law. His interests include music and the arts, boating, cycling, history, the sciences and classic automobiles. He belongs to The American Optometric Association, The Pennsylvania Optometric Association, Lions Club International, St. Paul’s Lutheran Church, The Cocalico Sportsmen’s Association, The National Rifle Association, The Lancaster Bicycle Club, The Lake George Association, The American Chesapeake Club and The Boy Scouts of America. Dr. Wida is a native of Lancaster County and was raised in the “coolest town in the US,” Lititz PA. She graduated from Warwick High School and was a member of the National Honor Society, the FFA and Band. She received a BA in Biological Science at the University of Delaware, was accepted into the University Honors Program and was inducted into the Tri Beta Biological Society where she served as treasurer. Dr. Wida continued her education at The Pennsylvania College of Optometry in Philadelphia where she first received her BS in Optometric Sciences before earning her Doctorate of Optometry. 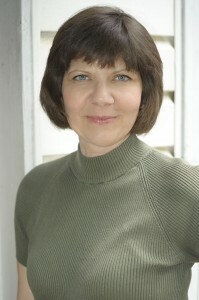 Dr. Wida obtained clinical training at the Elsmere Veterans Hospital in Wilmington DE and at The Feinbloom Low Vision Institute in Philadelphia PA. She has received the highest level of optometric certification available in the State of Pennsylvania and maintains a strict schedule of continued education. In 1992, Dr. Wida married Dr. Garfield and together they have one son. She practiced in Lancaster and Reading before partnering in the formation of Adamstown Eye Care, LLC with Dr. Garfield in 1994. When away from the office, Dr. Wida actively pursues the training, competing and showing of Chesapeake Bay Retrievers. She has been a member of the American Chesapeake Club since 1992 having served in many capacities including Chairperson of the breed Health Committee. Among her other interests are horseback riding, cooking, gardening, reading and boating on Lake George, NY. She is also a member of The American Optometric Association, The Pennsylvania Optometric Association, The Cocalico Sportsmen’s Club, St. Paul’s Lutheran Church and The Boy Scouts of America. Our many staff members have each demonstrated their skills and ongoing commitment to a high level of patient care. They are proficient in many aspects of eye care including patient communication, exam assistance, application of specialty tests, selection of eyeglasses, billing assistance and insurance inquiries. They are constantly enhancing their knowledge of current and emerging technologies as the state of eye care delivery constantly evolves. Our average staff member now has nearly twelve year’s experience in the delivery of eye care. The reliability and dedication they exhibit every day with every patient is their key to achieving successful results.